The 1994 Winter Paralympics were the first Games organised under the auspices of the International Paralympic Committee (IPC), which was formed in 1989. They followed the previous Winter Paralympics, in Tignes-Albertville in 1992, by only two years rather than the standard four years. This occurred due to the implementation of a 1986 decision to separate the year of the Summer and Winter Games (both Paralympic and Olympic) and place them in alternating, even-numbered years. This change became effective in 1994 and the 1994 Winter Paralympics and the 1994 Winter Olympics, both held in Lillehammer, Norway, became the first Winter Games to be held in a year different than the Summer Games. At the 1994 Paralympics, 471 athletes from 31 countries participated. Host country Norway finished as the leading medal nation followed by Germany and the USA. Five sports were on offer: Alpine, Biathlon, Cross-Country, Ice Sledge Hockey, and Ice Sledge Racing. Demonstration events were held for athletes with an intellectual disability. The most popular spectator sport at the Paralympics was Ice Sledge Hockey. The Lillehammer Paralympics were the first Winter Games to incorporate a torch relay, which traveled around Norway before it was used to light the flame at the opening ceremony. 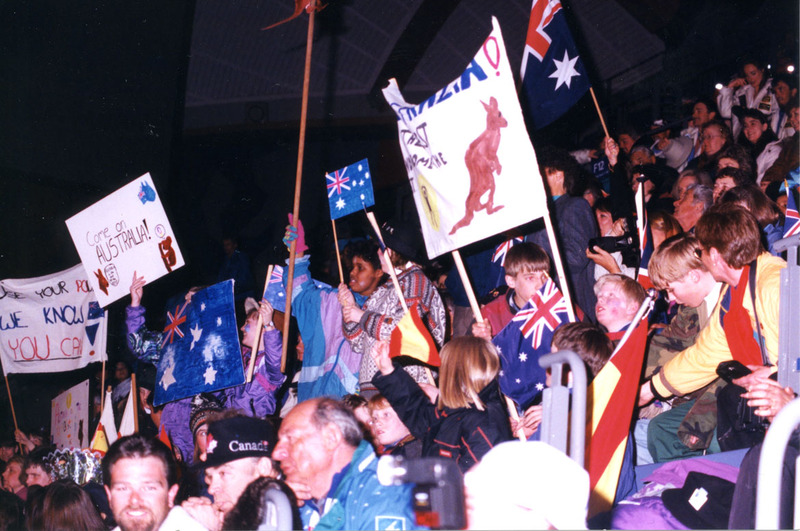 The Lillehammer Winter Paralympic Games were held in 1994, six months after Sydney was awarded the 2000 Paralympics. "I started off as a technical skier. It's a pattern that is worldwide." "The level of preparation that we had was a real big step up between 1992 and 1994. And we saw that in the results..."
Looking for more about the 1994 winter Paralympics in Lillehammer? Here are some links you can visit and ideas to find out more.